SHANGHAI, August 19. 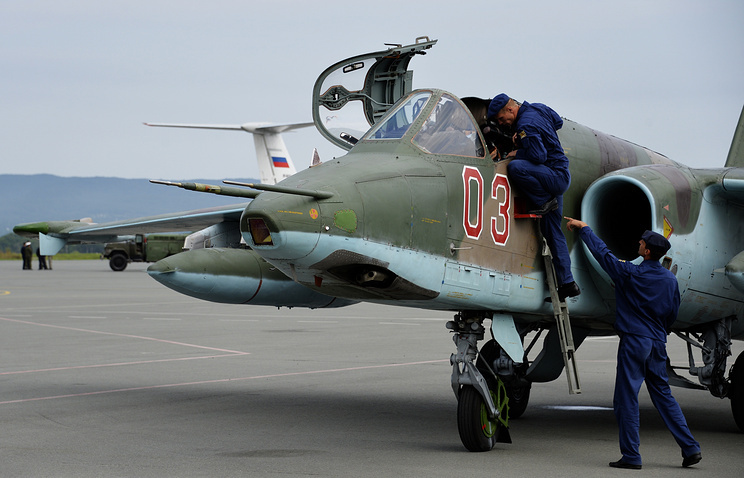 /ITAR-TASS/. The Peace Mission 2014 antiterrorist exercise of the Shanghai Cooperation Organization (SCO) will be the largest ever in the organizations’ history, a Chinese military official said on Tuesday. 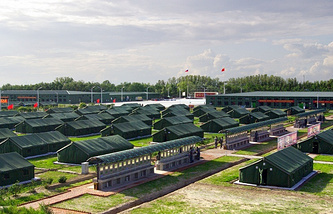 A total of 7,000 troops from China, Russia, Kazakhstan, Kyrgyzstan and Tajikistan have arrived at the Zhurihe training base for the drill, including ground and air forces, special operations and airborne troops and others tasked with electronic countermeasures, reconnaissance, mapping and positioning. Member-states of the SCO dispatch military force to put down the insurrection and restore the stability at the request of the given country, he added. “The drills aim at deterring the three evil forces of terrorism, separatism and extremism, safeguarding regional peace and stability, and boosting the militaries’ coordinated ability to fight terrorism,” Wang said. 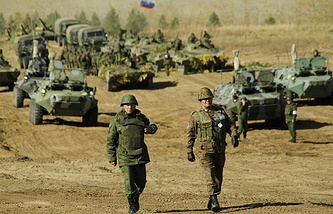 Representatives of Russia’s armed forces said previously that the Peace Mission 2014 exercise involves about 1,000 troops of the Eastern Military District of Russia.